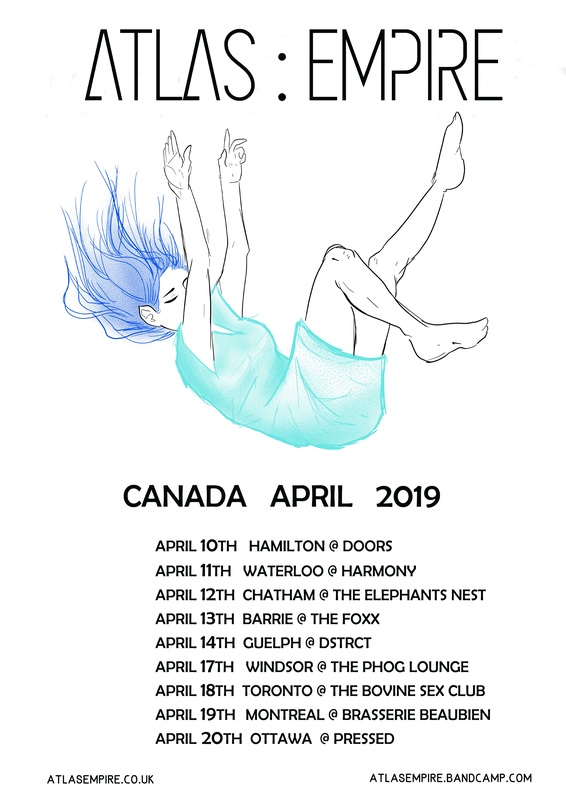 Glasgow’s ATLAS : EMPIRE is premiering their second live session video “It’s All In The Reflexes” via Prog Sphere today in support of their third Canadian tour this coming April (dates listed below). The track is off their debut album The Stratosphere Beneath Our Feet released this past December. Watch the live session below. Weaving their way between the multitudes of different genres that influence them, the trio visits the worlds of heavy progressive rock and expansive ambient shoegaze. Crossing the Atlantic to North America, the proggers will be visiting Canada for their third time since their performances in Ontario in 2017, which included showcasing at Indie Week in Toronto. ATLAS : EMPIRE‘s latest album The Stratosphere Beneath Our Feet is available for stream and download on Bandcamp, iTunes, and Spotify. To date the band has released 3 EPs, To The Astronaut… (2012); Somnus (2013) and For the Satellites (2015) with The Stratosphere Beneath Our Feet as their 2018 debut full length.